Registration for Les Misérables School Edition is open! Cast registration for Les Misérables School Edition is now open to students currently in grades 9-12! Les Misérables is the world’s longest running musical – a true modern classic based on Victor Hugo's novel and featuring one of the most memorable scores of all time. The multi-award-winning production is as groundbreaking today as it was when it first premiered in London in 1985. Les Misérables School Edition features updated orchestrations based on the Tony-nominated 2014 Broadway revival. Auditions will still be no-cut, so online registration is imperative and is first-come-first-served. Cast size for Les Misérables is strictly limited and the script for this production requires an approximately equal number of male and female actors. Auditions will be held on February 12 from 3PM until 7PM at Trinity United Methodist Church, with callbacks on February 13 from 3PM until 6PM. Register your student today to join "Les Amis de l'ABC!" See the production page for details and registration link. Announcing the cast for Annie! 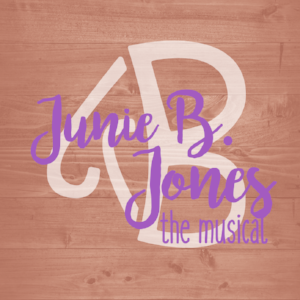 Double Casting for "Junie B. Jones!" Due to the overwhelming amount of talent we have decided to double cast the show. We are excited to get started on our first rehearsal. Spread the word and bring your friends and family to one of our four performances of this family-friendly show! 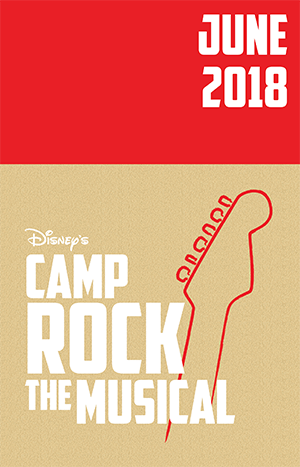 Congratulations to the cast of Disney's "Camp Rock - the Musical!" Registration for Summer 2018 is OPEN! Before you get wrapped up in the busy end of the year school activities, and before you finalize those summer plans, get registered for the stageGR summer programs. We would love to have you spend time with us at "Camp Rock", down on the farm with "Honk", or in the 100 Acre Woods with the lovable characters of "Winnie the Pooh Kids". 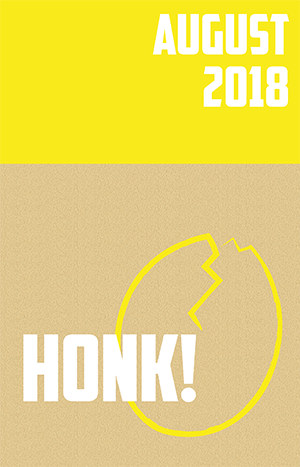 Our recent productions have filled up and gone into waiting lists, so get your registration in today to make sure you get a spot. It is sure to be a fun filled stageGR summer! Open to 2018 High School graduates and incoming Freshmen in the 2018-2019 academic year. Open to students going into grades 6-9 in the 2018-2019 academic year. Open to students entering grades 1-6 in the 2018-2019 academic year. Congratulations to the cast of The Hunchback of Notre Dame. Congratulations to the casts of Disney's "Alice In Wonderland JR."
stageGR is ready for Summer! GRAND RAPIDS, MI – April 1, 2017 – With theater programing for students from 6 to 18 years old, stageGR has an incredible community theater line-up for Summer! Summer 2017 kicks off with a High School Cast production of “Bring It On: The Musical”. Bring It On: The Musical tells the story of the unexpected bonds that form through the challenges and thrills of extreme cheerleading competition. With a fresh sound and exploding dance, this colorful crew of characters and their hilarious story is sure to be everything you hoped for and nothing like you expected. This musical was created by some of the funniest creative minds on Broadway. An original story written by Tony Award winner Jeff Whitty (Avenue Q). 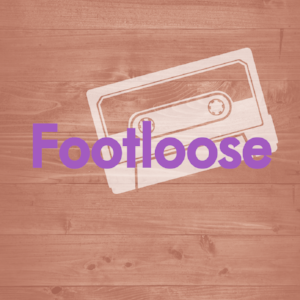 Music and lyrics by Tony Award winning composer Lin-Manuel Miranda (Hamilton), music by Pulitzer and Tony Award winning composer Tom Kitt (Next to Normal), and lyrics by Amanda Green (High Fidelity). The show was nominated for the Tony Award for Best Musical in 2013. Performances will be in the Meijer Theater at the Grand Rapids Public Museum. There will be two 7:00 evening shows on June 29 and 30. and one 1:00 afternoon show on June 30. Reserved seat tickets will be available for purchase online through stageGR. The Summer 2017 fun continues with an Elementary School Cast production of “A Year With Frog and Toad KIDS”. The third and final production of the summer with be stageGR’s Middle School Cast production of “Roald Dahl's Willy Wonka”. Roald Dahl's timeless story of the world-famous candy man and his quest to find an heir comes to chocolate-covered life. Roald Dahl's Willy Wonka follows enigmatic candy manufacturer, Willy Wonka, as he stages a contest by hiding golden tickets in five of his scrumptious candy bars. Whomever comes up with these tickets will win a free tour of the Wonka factory, as well as a lifetime supply of candy. Four of the five winning children are insufferable brats: the fifth is a likable young lad named Charlie Bucket, who takes the tour in the company of his equally amiable grandfather. The children must learn to follow Mr. Wonka's rules in the factory... or suffer the consequences. Performances will be in the Meijer Theater at the Grand Rapids Public Museum. There will be two 1pm shows on August 11th and 12th and one 7pm show on August 11th. Reserved seat tickets will be available for purchase online through stageGR. Registration for the summer program begins April 15. Registration, audition, and scheduling details are available on the stageGR web site. stageGR is an independent non-profit community theater organization. Their aim is to provide exceptional educational value and a sense of unity to students of all ages, and in all walks of life. Since their launch in November 2015, stageGR has produced 9 full-scale musical productions. stageGR has worked with almost 200 different students from 55 different area schools. Congratulations to the cast of The 25th Annual Putnam County Spelling Bee! Congratulations to the cast of The Lion King Jr.! We are happy to announce auditions, rehearsals and show dates for the next two stageGR productions: Disney's "The Lion King Jr." and "The 25th Annual Putnam County Spelling Bee"! "The Lion King Jr." is open to students in grades 6 through 9. "Spelling Bee" is for high school students, grades 9 through 12. Both shows will be performed at the Meijer Theater in the Grand Rapids Public Museum. 9th graders are permitted to audition for both shows, but they must be registered for BOTH shows. Combined auditions will be at Trinity United Methodist Church, 4PM-7PM on Wednesday January 18, with callbacks at 4PM-6PM the following day. stageGR takes pride in being inclusive, allowing participation by all desiring students. However because of performance venue limitations, the cast size is strictly limited. We really don't want to turn anyone away at auditions, so pre-registration is strongly advised! Our ticketing system will automatically indicate "sold out" when the limit is reached. We are also happy to announce that we now have online registration options for everyone! While credit card pre-payment is recommended and the most convenient, our Register Now feature has an option to pay tuition by cash or check at the time of the audition. Our website also has an online application for Financial Assistance Requests, for those families who need full or partial scholarships or just more flexible payment terms. Rehearsals for The Lion King Jr. will start on February 2, until the three performances on March 3 and 4. Spelling Bee rehearsals will begin on March 20 (taking a hiatus for Spring Break) and culminating in three performances on May 11, 12, and 13. Get registered as soon as possible and spread the word to your friends! We look forward to seeing you again - working hard, having fun. and producing more great theatre experiences!